Would you like to find out how to create a strategy for thought leadership and lead generation on LinkedIn? Look no further: our brand-new e-learning course will teach you how to create content for your LinkedIn sponsored campaigns, how to set up your campaigns with the correct targeting, and how to manage them effectively. Let’s take a closer look at what’s included. Sponsored updates give your posts an extra push to increase their visibility and reach. What’s more, they let you target the most relevant audience for your content. Unlike traditional advertising, sponsored updates are not invasive, as they appear in users’ news feeds. 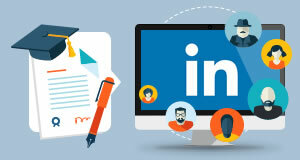 The course will explore the characteristics that make LinkedIn sponsored updates different from other native ad formats and from LinkedIn ads. Before setting up your campaign, you need to be clear on the outcome you want. This tends to be thought leadership finalised at brand building, and/or lead generation. The course will explore the criteria you should follow depending on what you are setting out to achieve. Being clear on your goals will help you create the best content to achieve them. As a general rule, you should aim to create content full of insights that will help your buyers solve business challenges, or which will relate to their aspirations and interests. Bear in mind that yours will be a business audience, not a personal one. The course will provide you with a useful content checklist, talk you through examples of content you could create, and look at some dos and don’ts. 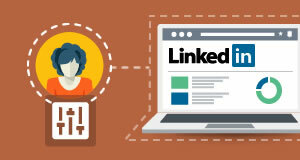 You can create a new campaign simply by logging into your LinkedIn account. If you haven’t already done so, you will need to add your company page or obtain access to it if you don’t have it. Sponsored updates let you define your audience, and you should take full advantage of this option. Having said this, always remember that the more specific your targeting, the smaller your audience will be. Useful screenshots will guide you through the process of setting up a sponsored updates campaign on LinkedIn and selecting the right targeting. The duration of your campaign will be dictated by various factors, such as the nature of your content; for instance, if this is time-sensitive, you may only be able to use it for a specific period of time. Find out how it’s best to publish your content, and whether you can re-use it. Why enrol on an online course with Webcertain? 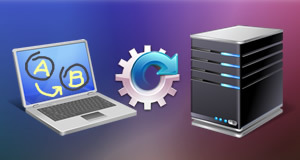 Our courses are very flexible: you can interrupt them anytime, fitting them around your schedule. You can clearly see your progress in the dashboard to check what you have completed and what is still pending. If you are taking any other courses with us, you will be able to see those too. All our courses allow you to take an exam at the end to obtain your very own certificate of completion. And don’t worry, you can take our exam as many times as you need to! 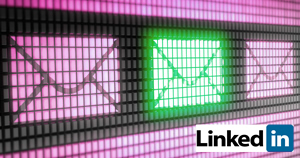 Access our e-learning course to LinkedIn sponsored updates here. Does this all sound unfamiliar? 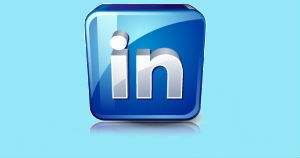 Have a look at our glossary of terms for LinkedIn sponsored updates campaigns. Daiana is the Social Media Team Leader at Webcertain with a degree in Journalism. She manages the social media pages of multiple international clients and creates content and campaigns for different social platforms. She enjoys analysing the performance of each page in order to better understand international audiences and how to target them in a unique and tailored way. Her favourite social platform is Pinterest, where she collects ideas for her favourite things in life: fashion design, literature, figure skating and animals.